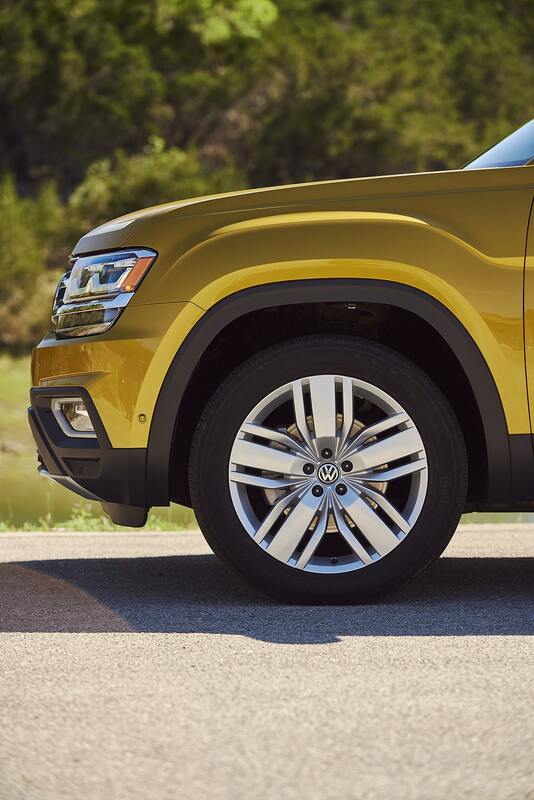 There are many ways to look at the coming of Volkswagen’s all-new large midsize 3-row SUV. 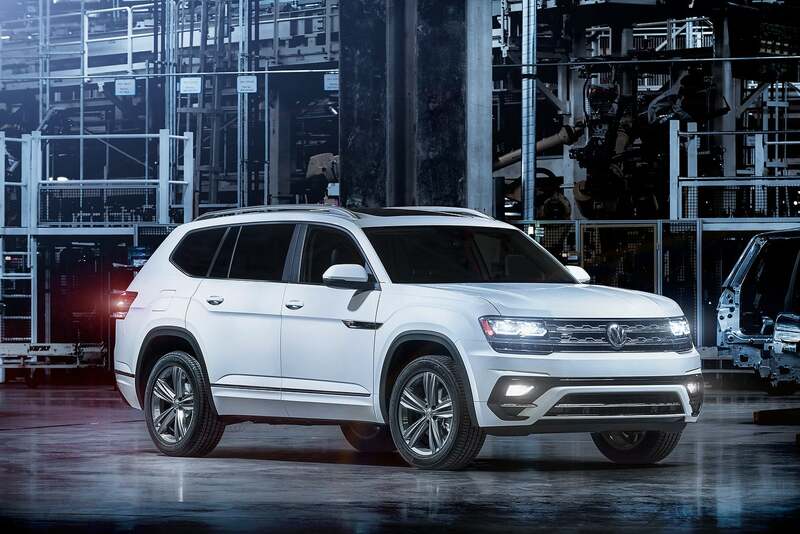 The current Touareg and previous Tiguan were not only outdated but met very few needs for consumers at large, this same group that cannot get enough of crossovers and SUVs. The demand for value and versatility plainly rendered the two VWs obsolete. 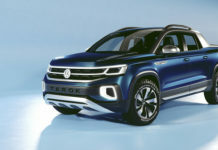 The arrival of both the new Tiguan and Atlas will fully reverse the thinking that VW’s off the mark where utility vehicles are concerned. 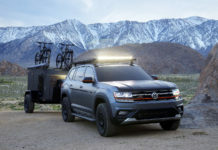 North America’s continued love affair for trucks has forced VW’s designer’s hands to create a product with a far more rugged look than before. 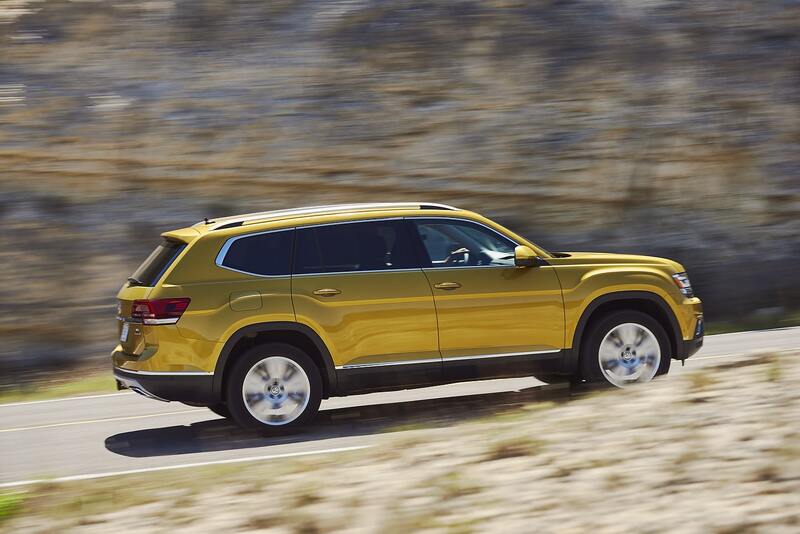 Funky stylish lines and curves have all but been removed from VW’s SUV design language. The new grille consists of a rectangle with LED headlights on either end, and that about covers it. The Atlas’ simple and boxy angled body turns heads from its lack of adornment, and flashy details. Also, because it’s huge. 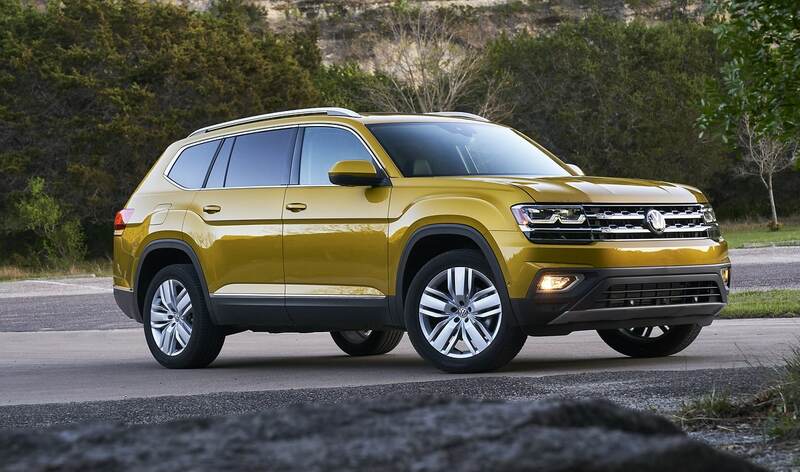 At 5 meters long, it casts a huge shadow on everything else in VW showrooms. The approach to the Atlas’ presentation is functionality. The upright sides and pillars translate into monstrous amounts of interior space. Here as well, the emphasis is on making the most of the available real estate to make all and everything aboard as cozy as possible. The dashboard’s layout is straightforward with a few premium-looking touches. Again, it’s about functionality over form where simplicity wins. Yes, and yes, to both aspects. 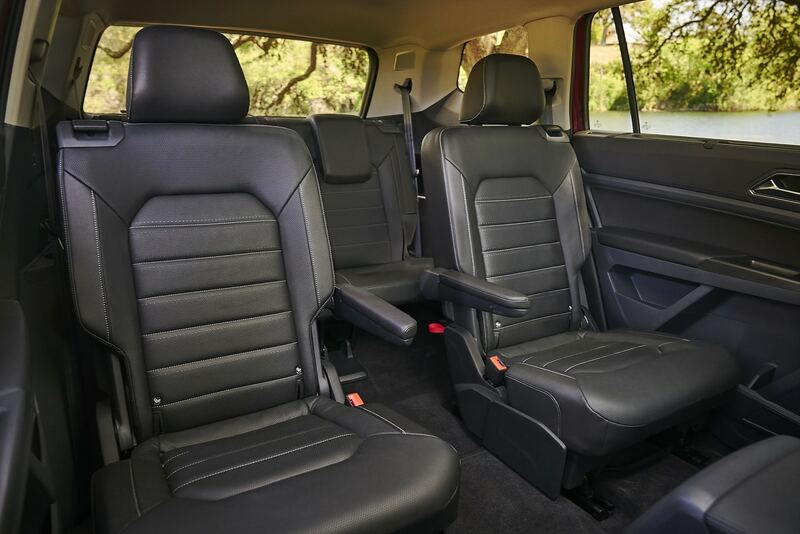 Despite the Atlas being a vulgar SUV, it still features comfortable and supportive seats as you would find in a Golf, for example. 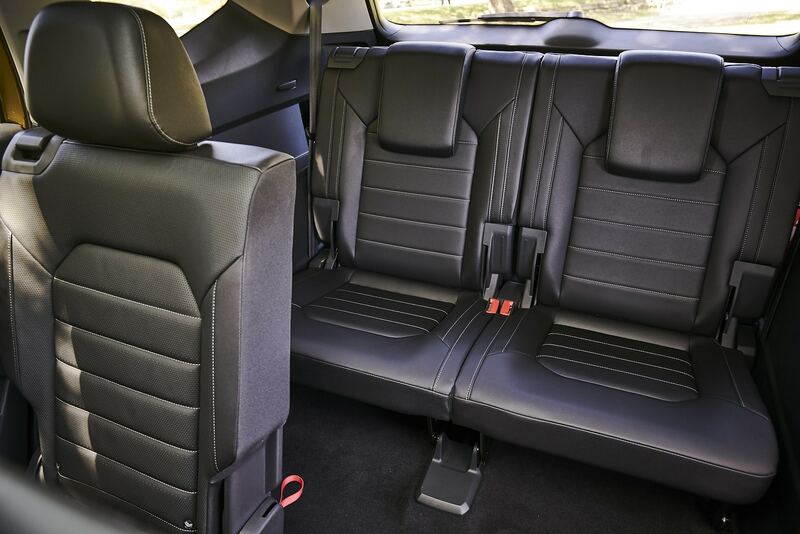 What’s more, the 2nd and 3rd rows are more accommodating both in legroom and comfort than you would expect. 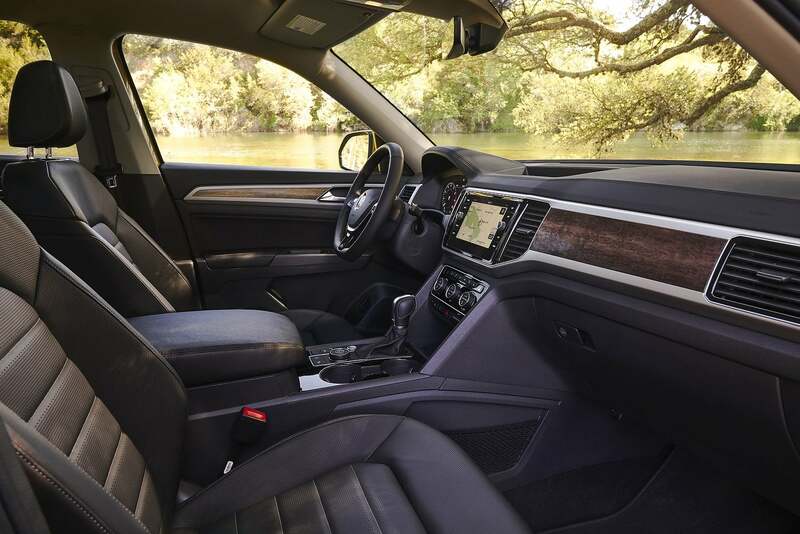 VW thought about ease of access to the 3rd row and there’s plenty of room to move around to get back there – no need to contort – however the mechanism to move the 2nd row bench is not especially user-friendly and requires two hands. My time with the Altas was put to good use. I hauled a number of large items, from a car hood to wood, luggage and 40 lbs of cork bark (don’t ask…) Behind the 3rd row, the available volume is just short of what you get in the old Tiguan. 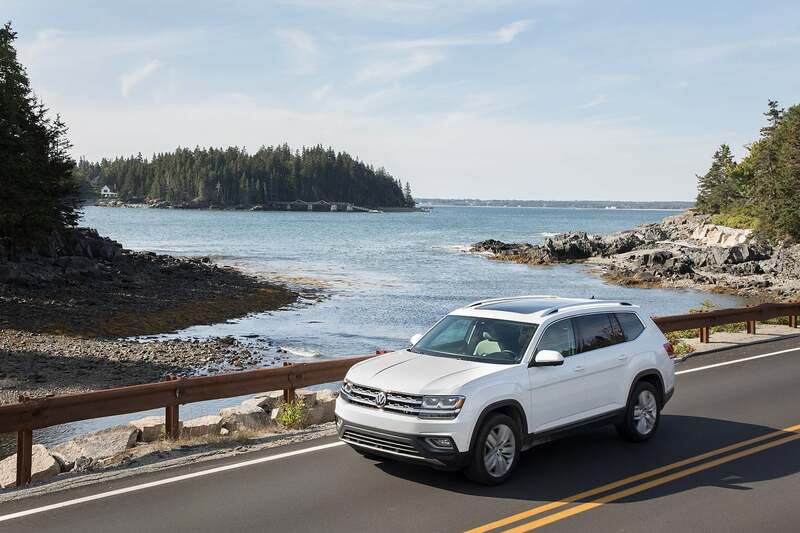 With the 2nd row folded, the trunk space nearly triples and with only the front seats in place, there’s more cargo room than the entirety of that same Tiguan’s cabin. It’s big. 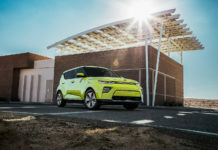 The base Trendline Atlas retails for $35,690 and despite a strong level of standard features, there’s little interest to be had with this trim. At $39,790, the AWD Trendline with the 3.6-litre V6 Makes more sense. 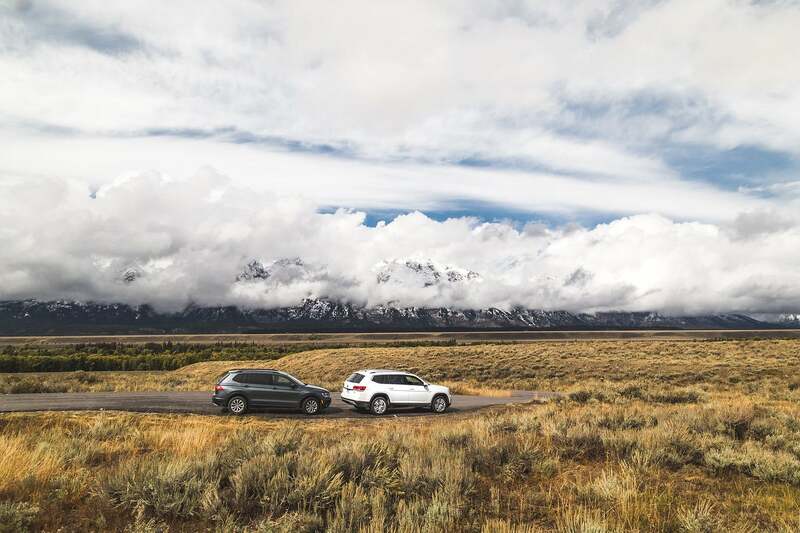 The $43,790 Comfortline is the smartest iteration as it includes a 10-way power driver seat, adaptive cruise control, Climatronic 3-zone climate control, heated front, remote start and SiriusXM satellite radio. If leather, a larger screen, and large panoramic sunroof are musts then the price jumps to $48,990. The menus accessed through the 6.5” touchscreen are complete and easy to navigate. 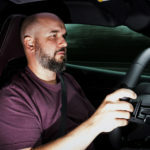 Apple CarPlay, Android Auto and MirrorLink are part of the deal for smartphone connectivity. If the outer dimensions are not quite Volkswagen (no, the Routan was NOT a VW), the drive certainly is, albeit on a scale. 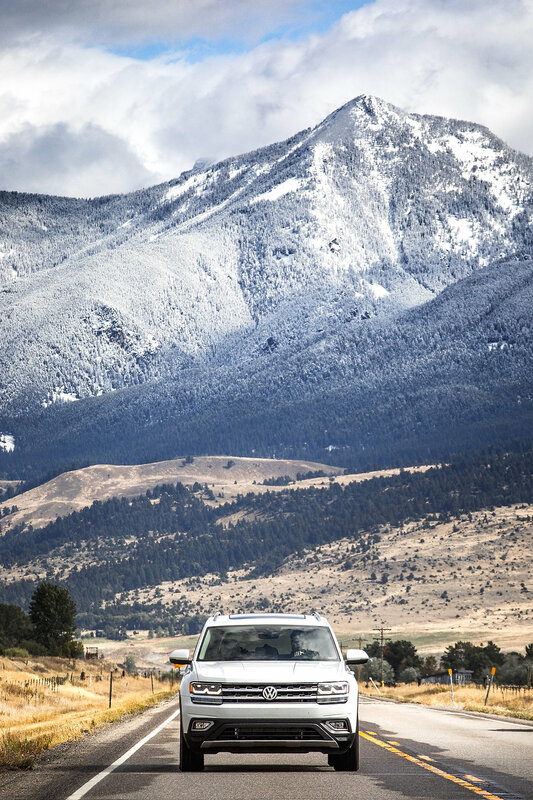 Unlike many, if not most other 3-row crossovers, the Atlas puts the driver in a position where some feeling travels from the tires to the tips of the fingers. This is not a Golf obviously, but there’s a resemblance to how the Passat filters out road surface evils and leaves just enough behind to instill confidence when charging through some countryside switchbacks. Body lean is prevalent but not encroachingly so where exploiting grip becomes a chore. The ride quality is excellent in most cases. Only the worst of Quebec roads, the ones in the city mind you, not in the country, upset the cosseting and controlled chassis. The Atlas with 4MOTION AWD gets a Driving Mode Selection feature which allows the driver to select various driving profiles. 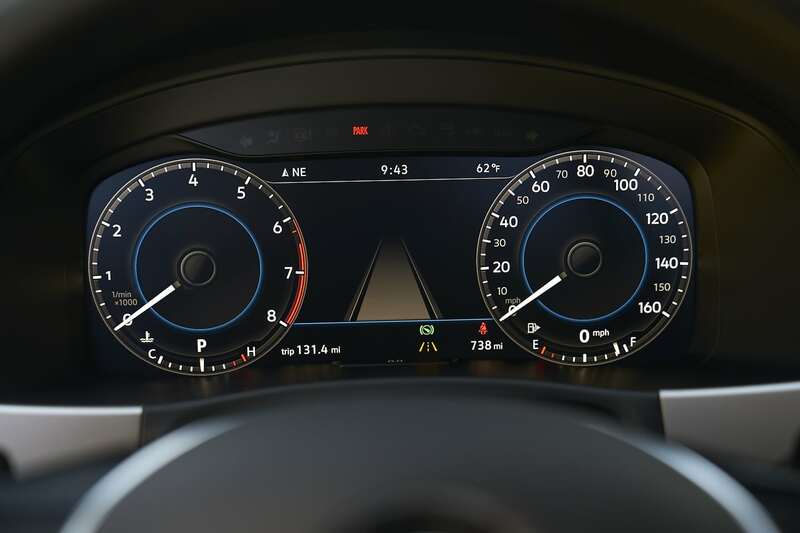 In the “onroad’ settings, a “custom” option offers the driver to program engine, transmission, steering and Adaptive Cruise Control (ACC) in either Normal, Sport or Comfort settings. The best setup, in my opinion, is Sport for engine and transmission and comfort for the other two (I mistakenly referred to a suspension setting in my video – I was probably thinking of the Audi S3 I’d driven just before…). 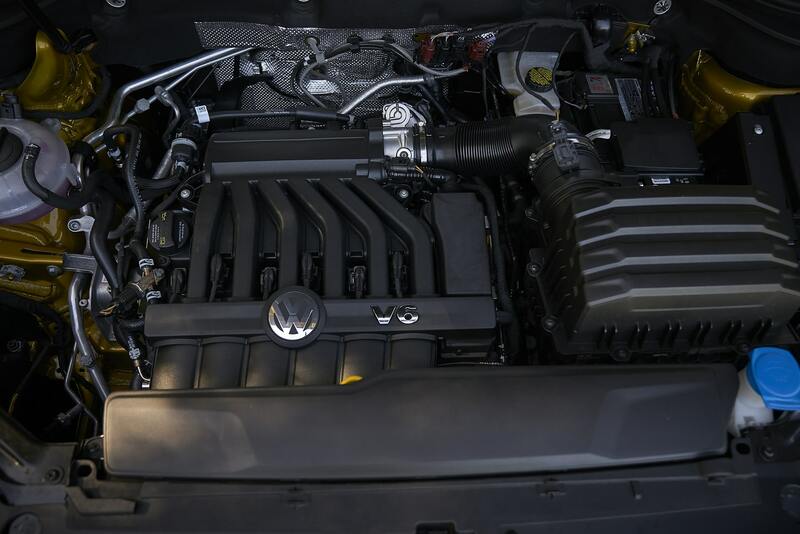 Then, there’s the 3.6-litre VR6 engine that I once thought to be adequate at best. The extra time and distance, not to mention accrued mileage on the tester, proved to me that this engine is far more capable than I recalled. 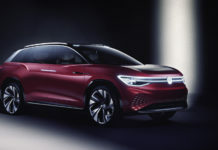 I still think that in the early planning stages, VW expected the TDI to be tops on the want list but those days are behind us now. The mill’s 266 lb.-ft. of torque arrive at 2,750 rpm, well ahead of the 276 horsepower, which are on tap at 6,250 rpm. The relatively tight gearing, especially between 3rd and 5th gear, enable the engine to spin in the juicy part of the power band when passing on the freeway. 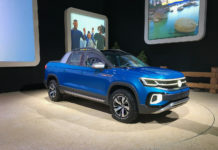 Although most consumers would never think to swing by a VW dealership to replace the aging large family ‘ute, the Atlas is worth more than a detour. Next articleGeneral Motors Expected To Shut Down Operations In Oshawa, Ont. 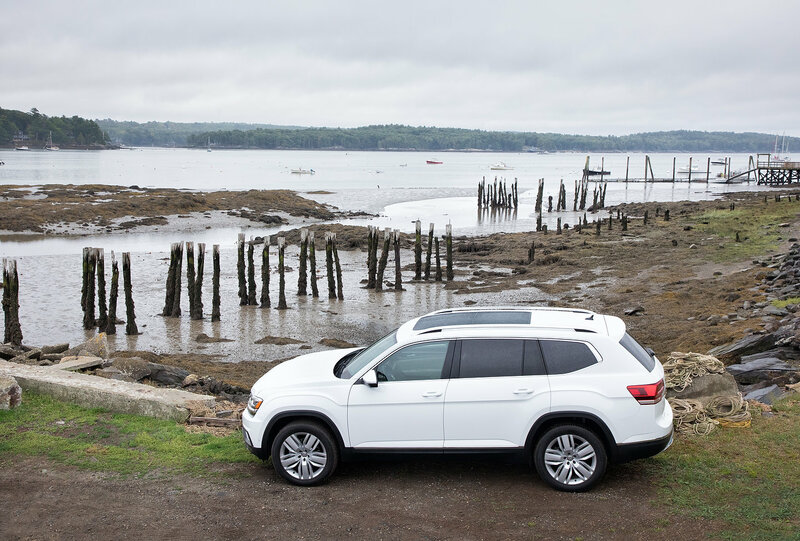 The smart money is on the Atlas Comfortline 2.0T if you don’t want AWD or max towing capacity. The 2.0T is a beauty of a motor and should not be overlooked.